Gives vegetarian restaurants a new lease of life with imaginative dishes made with fresh ingredients. This restaurant also offers vegan and celiac options for those among you. 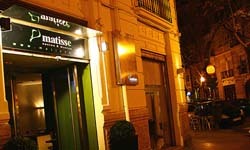 Perfectly located just off the famous Calle Mayor, this is the place to be. 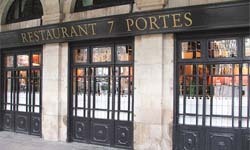 Famous for its seven doors, this old restaurant founded in 1836, is one of the most traditional in Barcelona. 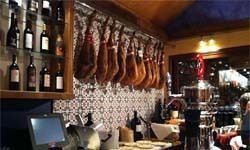 Catalan food is the main inspiration for its menu, boasting meats, fish and rice dishes. The original décor fits in with the theme, and at night you will be able to enjoy the sounds of live piano. 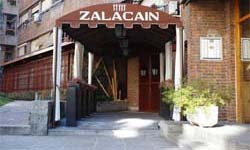 Offering an array of Madrilenian and other Spanish dishes, this friendly restaurant boasts a warm and friendly atmosphere. 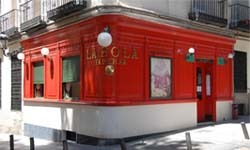 Located in the heart of Madrid, near the royal palace, it is hard to miss with its bright red exterior. Specializing in the Argentinian grill, "asador", this is the best place to enjoy a simple, hearty, and tasty meal. Its dishes strive for the raw simplicity of good, healthy food. The restaurant décor itself is unique as its walls are covered in the owner's original artwork, giving a dynamic atmosphere. 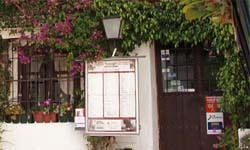 Pretty little Spanish restaurant in the city of Marbella on the south coast of Spain, which prides itself on offering the finest continental cuisine together with recipes from the Spanish region of Andalusia. A very personal restaurant that mixes gastronomy and Flamenco, offering dance and music shows both during the week and in weekends, and with a very special mix of French and Spanish cuisine thanks to the mixed heritage of the main chef. Discover a world of traditional food with a contemporary touch in this restaurant located in a minimalist building that takes the Spanish culinary tradition right into the 21st century. 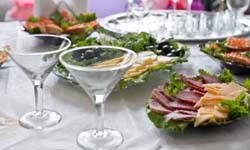 Enjoy the wide variety of dishes, wines, and even caviar specialties..
A fancy traditional	Spanish	food	restaurant and a homey tapas bar door to door in one of Tenerife's shopping neighbourhoods that will delight the visitor's eye and stomach. They also put up a daily Flamenco show in the evening, . A very centric eatery that will appeal both to tourists and locals for its wide selection of dishes from the Valencian gastronomy, in a minimalist style establishment that focuses on food. 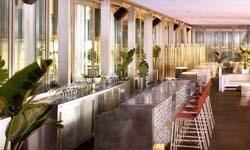 Its outside terrace is ideal for the summer months, where you may also enjoy the taste of their fine seafood preparations. 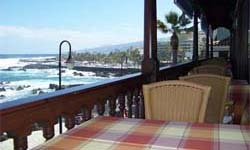 A place that is much more than a restaurant, for it also includes a cafe, a bakery and a patisserie, on the very sand of the beautiful San Telmo beach in Tenerife. Its focus on local products and Canarian recipes will guide you through the area's gastronomy while you breathe in the refreshing sea breexe. A very exclusive restaurant awarded with three Michelin stars that boasts the freshest produces and the most authentic Basque and Navarre recipes in a traditional style. Everyone from the Royalty down has experienced the unique atmosphere of this iconic establishment of the gastronomy of the capital of Spain. 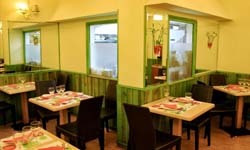 A restaurant run by two brothers which offers a great selection of home-grown ingredients and where the menu is presented through "sensographs", because the preparation and mix of elements in their refined and avant-garde dishes makes it hard to recognize what you are eating at first sight. Welcome to Spanish Restaurants! On this website you will find all the information on a carefully elaborated selection of the finest restaurants in Spain’s main cities. Just check the Menu on the right for further details on each city, and other topics. Learn all about the way you should behave at lunchtime in Spain, from the use of cutlery to what you should do with the leftovers on your plate. Spain offers a great variety of food and cuisine: from the most traditional recipes to the modern nouvelle cuisine, and a multicultural exotic restaurant medley. The richness of the Spanish cuisine is reflected in the myriad of dishes and food that its restaurants offer: from fish and seafood to the best rice dishes. 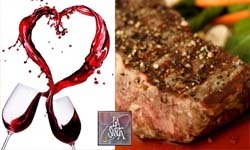 Innumerable fish and seafood dishes, a vast array of cured meat and sausages, a myriad of rice dishes, all of it accompanied with the best wines is what Spanish cuisine will offer the discerning palate. 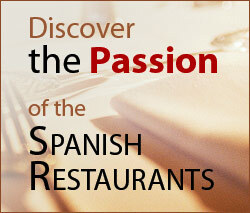 Explore our Spanish Restaurant guide to discover all the secrets of a legendary gastronomy. The privileged geographic location of Spain, together with a rich and fertile soil, creates the necessary conditions for a unique selection of products to grow on it: the finest vegetables, the tastiest fruits, the best cattle and the sun-tanned grapes blend together into a world of sensations for your taste buds. 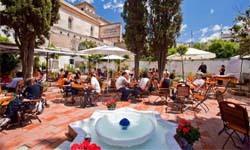 Visiting a restaurant in Spain is not only about the food, but an overall experience for the senses. The variety of products used in Spanish cuisine is huge, from fresh vegetables and fruits, to the better known iberico ham or the chorizo. Whether it’s the Moorish influence on southern Spanish cuisine, or the typical Indian food, Spain’s gastronomy welcomes the foreigners. In Spain the eating times are primarily a time to gather together, share and socialize; even the food is shared sometimes!